As y’all know, I’m an Apple user of many years at this point. I’m on my second Macbook computer since 2007, and my third iPhone since 2009. And since fairly tech-savvy, I tend to jump on OS upgrades as they happen. 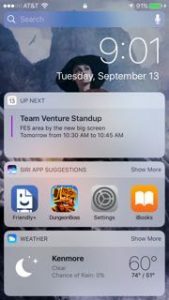 This week, with the release of iOS 10, was no exception. And, as I’ve posted both here and on my social media accounts, by and large I’m happy with it. With the one big glaring exception that the redesigned Music app is an unholy mess and I would now like to shoot it into the sun. Go see that post for details on that, as well as a few initial observations on a couple of alternative apps I am exploring. This post is about everything else, assorted observations I made through the process of installing the update on my phone and my iPad, and while using it today on the phone on my commute.
.@solarbirdy: "Your phone does not appear to be on fire. So at least they haven't broken that part!" I do indeed figure that any OS update that does not result in my device exploding is probably a win. iOS apparently has two-factor authentication now for logging into your iCloud account. This is a good thing. I approve. I also noticed that it offered to add the credit card I already had on file with Apple for buying music and such to Apple Pay. I have no fucks to give about Apple Pay but went ahead and let it do this anyway. I may want to test this at some point. I may be one of the few iOS users on the planet that doesn’t really care about the widgets on the lockscreen. I’m a little sad that “slide to unlock” has become extinct now, because iOS 10 wants you to swipe left to get to widgets, and swipe right to get to the camera. Both of which seem fine to me from a usability standpoint, but I’m tellin’ ya, it’s going to take me a while to get over the muscle memory of needing to swipe left to unlock the phone. I have an iPhone 6, not a 6s or later, so I don’t get to have the shiny new Raise to Wake functionality. But it is pretty nifty to be able to unlock the phone via Touch ID. Which, come to think of it, I was able to do in iOS 9, I think. I just never ever actually realized that before. Still, though, this is what it looks like if I swipe left now from my lockscreen. A bunch of font changes all over the place, but aside from the ones in the Music app, so far I’m not seeing anything to annoy me. All of my various apps still look pretty much the same, and none of them appear to have broken. So at least from a design perspective, iOS 10 doesn’t look particularly different from iOS 9 except in the Music app. Nothing here for me to hate, but nothing to get excited over either. And I’m a little surprised to have found only one new system wallpaper I didn’t recognize. Apparently wallpapers are not something about which iOS 10 concerns itself. I’m a little sad about that, too, because sometimes I do use the system wallpapers. They tend to be a bit better at not making it too hard to read the labels on my apps. There does appear to have been a noticeable boost in performance on my devices. Uploading a photo to Facebook and Twitter over the house wifi was smokin’ fast, and even pretty speedy over phone connectivity as well. My Jabra Move headphones seem like they’re connecting faster to the phone now, and during the course of today as I played music and podcasts, they held up pretty well. But they started flaking out on me partway through the afternoon, and I’m not sure yet whether that’s the fault of the new OS, or the fault of the headphones maybe running low on battery. I didn’t hear them fire off a low battery warning, so I’ll have to keep an eye on that over the next few days and see if the problem recurs. There’s a new filter icon in the Mail app, down in the lower left hand corner, that lets you zoom in on just the unread messages in the mailbox you’re looking at. I don’t know if I’ll find this useful yet, but it seems like something that might be useful to me at some point. I’m a little vexed that the touted ability to delete the stock apps you don’t find useful is deletion in name only–you can just blow away the icons off the home screen, vs. actually deleting them off the device and therefore freeing up space. But still, I’ll take it. Fewer icons to have to keep track of is nice. This doesn’t feel like a particularly revolutionary upgrade to me, and the only thing that’s blatantly different amongst the stuff I actually use and care about, i.e., the Music app, is a significant step downward. On the other hand, my phone’s general performance does feel faster. I’m seriously disgruntled about the Music app being a dumpster fire now, enough that I’m looking for alternative music apps. But that’s not enough to make me sad that I did the update in general. As Ars Technica says in the headline of their review, if you’ve got a reasonably new device, there’s no particular reason not to update. So if you’re a technophile like me and willing to dive in headfirst to a new OS upgrade, go for it; just be aware of the issues with the Music app. If you’re more conservative though and prefer that a new OS release go through a few cycles of bugfixes, there’s nothing hugely groundbreaking here that I see to argue you out of that. 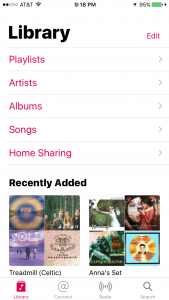 The default Apple Music app is now even more of an unholy mess! I installed iOS 10 on my iPhone 6 and iPad Air 2 last night, and I threw off a lot of tweets and posts to Facebook to document various reactions and observations as I went. By and large I’m pretty happy with the upgrade, and I’ll be doing a separate general post about that. This post, however, is about the unholy mess that the default Music app on iOS has become. I’ve been cranky about it for some time. I didn’t like that they threw podcasts out into a separate app, but I put up with it. I liked even less that they threw audiobooks out into iBooks, which killed my ability to organize audiobooks in playlists. Why this is relevant: because I buy a bunch of Doctor Who audios from Big Finish, and i like to organize them by season and listen to them in order of release. Dara and I listen to these a lot on road trips. Lack of ability to properly use those playlists on the iPhone is very annoying. I have to keep a separate note active in the Notes app to track the order of the audios in question, on the phone. But I was even grudgingly willing to put up with that. 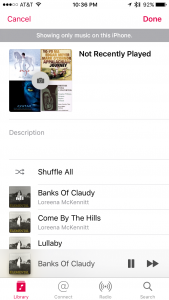 As of iOS 9, though, the Music app’s design got deeply annoying. Some of this is because of Apple’s being bound and determined to hook people into the Apple Music service, about which I have zero fucks to give. But at least I can mostly turn the service-specific features off. What’s more annoying to me, though, is how the app is making it more difficult to just play my music that’s right there on the phone. In iOS 9, they had a toggle button that you had to turn on if you wanted to just see the music on the device. 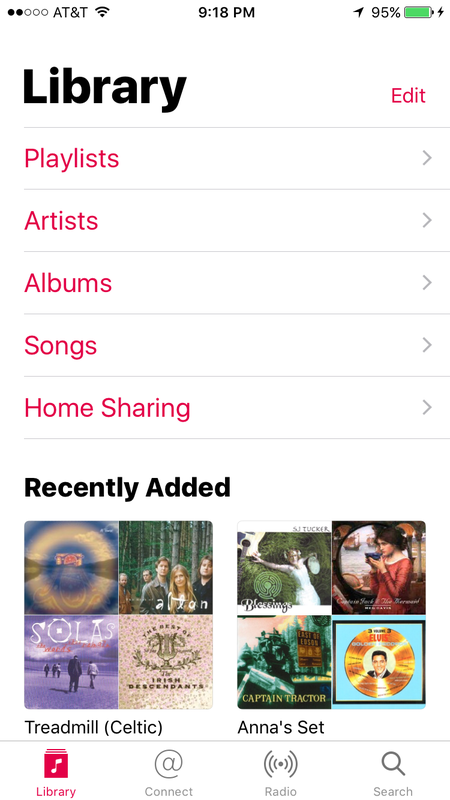 In iOS 10, however, they’ve now made a Downloaded Music section of your Library tab, entirely separate from the Playlists, Albums, Artists, and Songs items. The Downloaded Music section itself also has Playlists, Albums, Artists, and Songs. Which means that I have to completely ignore the top-level versions of those, because they are entirely useless to me, and instead have to tap down into Downloaded Music to get to the lists that are actually reflective of what’s on my device. This is what that looks like on the phone by default. I had to actually turn on the Downloaded Music section, which does NOT appear by default, and scoot that up to the top so that I could actually get to it. This is a UI decision that makes no goddamn sense to me. I was confused as to why the iOS 9 toggle button wasn’t over in Settings where it belongs, and I’m still confused about that. Since Apple seems bound and determined to make you try to use iTunes Match and Apple Music to play stuff, why they aren’t solving this problem by just putting the “Show Downloaded Music” toggle over in Settings, and keeping from cluttering up the Music app’s UI with redundant sections, is beyond me. I am also highly disgruntled that they’ve made it a lot more difficult to see how many songs are on any given playlist. I use that data. It’s gone now from the top of a playlist, where it was in iOS 9. Which means that now there’s a bunch of whitespace they’re not using, underneath the playlist title. It looks like this. My Not Recently Played playlist is the one I use most often, and it’s often got a lot of songs in it. I like to keep track of how many there are, and now, I have to scroll all the way down to the bottom of it if I want to see the song count. My best guess here is that they kicked up the font size on that data and decided it wouldn’t fit in the whitespace in question. But I don’t even know. All in all, I’m grumpy enough about the state of the Music app that I’ve decided to start researching what alternative music apps are available. This MacWorld article from 2015 has a few recommendations, and Ecoute and Cesium both look promising. I’ll be checking them out. Meanwhile, though, if any of you have recommendations for alternative music-playing apps on iOS, I really want to hear from you. I don’t need much in the way of bells and whistles. I just want an app that’ll be able to see my music collection as synced down from iTunes on my computer, and let me get at my playlists properly, including the Smart Playlists like Not Recently Played. I don’t want to stream any music; I don’t care about Apple Music, Spotify, Pandora, or anything else where the point is to stream music online. I just want to play the music I have. Bonus if the app ALSO lets me play audiobooks in playlists. Shoot me your recs if you got ’em! And stand by for the full iOS 10 review post. Editing to add: I found another thing this afternoon that I strenuously dislike about the new Music app. To wit, they’ve removed the ability to see lyrics that you’ve manually attached to a song file. This is hugely irritating to me because a lot of what I listen to being Quebecois trad, I need the lyrics so I can learn them and practice my French. Also, I have been poking at both Cesium and Ecoute today, the two most promising alternative music apps that I could find browsing around for suggestions. I want to like Ecoute, in no small part because its name is in fact French. I like its simple, elegant UI. It even seems to let me actually get to the playlists for Big Finish audios like I want to. But I don’t like that it doesn’t seem to actually honor the toggle setting for only showing me music local to the phone. That being broken means my Not Recently Played playlist is completely freggin’ useless in that app, too. And while it seems like it’ll see my podcasts as well, it’s having trouble organizing them; I see the same podcast splitting out into multiple icons. Cesium, meanwhile, has a UI that looks like a nice retro throwback to what the iOS default Music app USED to look like. But it doesn’t seem to pick up on my audiobook playlists like Ecoute does. And my Not Recently Played playlist is less useful here, too. I can at least show music local to the phone properly, but Not Recently Played is a smart playlist. My intent with it is to have songs roll off of it when I play them, making the playlist automatically shorter. Cesium doesn’t seem to pick up on this, which makes it less useful in that regard. And both apps have delivered the vexing surprise that apparently, third party apps can’t get at playlist folders if you’ve made those for organizational purposes, because apparently Apple doesn’t make those visible in the API. BOO. 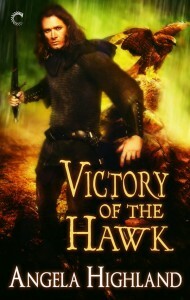 Need audiobook recs for iOS! Anybody? So by and large I’m almost entirely happy with the new releases of iOS 9 and El Capitan. I’ve seen significant performance improvements on both my laptop and my mobile devices. But there’s one big pain point with me still, and that’s Apple deciding in its infinite wisdom to punt audiobooks out of Music on iOS and over into iBooks. You could argue either way about where audiobooks actually belong. That’s not the part that pisses me off. The part that pisses me off is that since the vast majority of audiobooks I have are the full-cast audio Doctor Who adventures from Big Finish, I’ve set up a bunch of playlists so that Dara and I can listen to these in release sequence when we’re on trips. So, for example, I’ve got a “Fourth Doctor Season 1”, “Fourth Doctor Season 2”, etc. Now, as of iOS 9, the playlists I’d set up don’t sync to my phone anymore. Even though I’d set them to do that. And since iBooks is not set up to deal with playlists, this means I have no way whatsoever to recreate that ordered sequence and to be able to know which adventure Dara and I should listen to next. I see a few different things I can try to do to deal with this, none of which are optimal. One: Rename all the audio adventures so that it’s obvious what the listening sequence should be. Two: Get into the settings on each adventure and change the media type to ‘Music’ so they’ll show up in the Music app. Which would also lose me the ability to keep track of where I left off listening to any given adventure, which is after all THE ENTIRE POINT of my downloading them from Big Finish in audiobook form to begin with. Three: Keep a running list of the listening sequence in Notes or in a file on Dropbox. In other words, an externally managed playlist, which, again, I SHOULD NOT HAVE TO DO BECAUSE I HAD THAT FUNCTIONALITY ALREADY GRR. Four: Find a third-party app to manage my audiobooks if possible. I’m willing to pay for a third-party app if a good one exists. Failing that, I’m probably going to grumpily keep a running list in Notes as to what the listening sequence should be, since that seems like the least amount of effort involved. But does anybody out there know of good audiobook managers for iOS? Sing out if you do! And if you’re also an audio listener on iOS, you might consider going to Apple’s feedback page for iBooks on iOS and expressing your displeasure how they’ve broken things. Who does dev work on iOS out there? For any of you developer types who have to work with iOS, I have a question for you! Namely: Apple has this new system that asks sites to use appstore.com links if they want to direct people to the App Store for a company or app. So for example, we have http://appstore.com/bigfish which takes you to all the stuff in the iOS app store by Big Fish Games. My question is this: what if you’re not on the US app store on your device? According to this article on the Apple Developer site, in theory what’s supposed to happen is that you get redirected to the app store for your country. But what I don’t know is whether this is actually the case, and what sort of magic Apple might be doing to actually make that determination. On one of our test devices at work, I just tried to set its app store to German, but found that I still went to a list of English apps if I hit that link in Safari. I don’t know if appstore.com is doing some form of geoIP checking or what. Anybody able to enlighten me one way or another? I installed iOS 8 on both of my iThings this week, so here’s a quick roundup of things I’ve noticed so far. In general, iOS 8 looks a LOT like iOS 7, and the stuff that interests me the most won’t really kick into play until Yosemite drops and I can update my Mac. But that said, there are some points of interest. The new Health app has a tab in it where you can fill in medical data about yourself that might be critical in an emergency–allergies, important conditions of note, meds you’re on, that kind of thing. This strikes me as super-helpful, and certainly in both my and Dara’s case, there are important things that medical personnel might need to know if we’re in an emergency situation. This data is accessible from the phone’s emergency screen, the same screen from which you can dial 911. Excellent idea, Apple. I am pleased to note that not only have the recurring Smart Playlists bugs that have plagued me through the last several iOS releases not returned this time, but a few other bugs new to iOS 7 appear to have been fixed as well. Notably, I’m not seeing weirdly missing album art anymore. And I don’t have to restart the Music app after syncing now to un-stick the Not Recently Played smartlist as I play stuff on it. AND, they fixed the bug where my Not Recently Played playlist wasn’t showing me brand new stuff. So now that playlist is behaving like I originally expected it to. Good. Playlists in the Music app are now showing a count of songs and a run time in minutes. This is helpful to have, particularly for my smart playlists like Not Recently Played, where I can see at a glance how big the playlist currently is. The bug with setting wallpapers appears to have been fixed–this bug being the one wherein you were unable to actually zoom a photo to the size you wanted when setting a wallpaper. This was annoying and I’m glad it’s fixed. Let’s hope it stays that way as this rev of the OS gets minor updates. On my iPhone, battery life seems like it’s better. I haven’t burned through the battery nearly as fast the last couple of days, even if I play music through a good chunk of the day. Two things got added that I immediately turned off when I discovered them. One is predictive text, where they show you example possible words in a bar above the keyboard as you type to try to anticipate what you’re actually about to say. I found this visually distracting. Fortunately it was easy to turn off in Settings > General > Keyboards > Predictive. The other is that in the app switcher that they put in with iOS 7, when you double-tap the Home button, they’ve added a list of your recently accessed Contacts. I found this visually distracting as well, and turned that off too. You can find the setting in Settings > Mail, Contacts, Calendars > Show in App Switcher. I’ve had apps hang unexpectedly a couple of times since the upgrade, requiring me to kill them in the App Switcher. This isn’t happening often, but it IS new behavior, and it’ll be something I’ll have to keep an eye on. The apps I’ve noticed this on so far have been Plants Vs. Zombies 2 and Friendly+, my Facebook app. I don’t know if this is a fault of the OS or of the apps not quite having been updated correctly for the new OS, though. Apple’s handling of podcasts has been a mess in the last couple of revs of iOS, ever since they split podcasts out of the main Music app and off into their own Podcasts app. I’ve had recurring issues with certain podcasts duplicating themselves in my listing, and podcasts I’ve listened to still showing up in my list even though they’re supposed to have been deleted. Still investigating whether handling of this has improved. A new version of the Podcasts app just dropped last night. You’re supposed to be able to share files across iCloud now, and have an accessible drive to put them on, similar to Dropbox, Google, OneDrive, and other such services. It’s about damn time Apple implemented that, and I’ll look forward to checking it out–since it’ll make Pages finally actually useful to me. Pages doesn’t talk to Dropbox, which has been a source of frustration to me. Continuity will be interesting as well–the ability to answer messages across devices, such as answering a phone call on the Mac. Or starting a mail on the phone and picking it up again on the computer when I get home. If you have a recent device like an iPhone 5 or one of the newer iPads, yes, go for it. So far this seems like it’s a better than average iOS update. However, if you have an iPhone 4S, you should read this. According to that article, the 4S suffers noticeable performance hits with iOS 8 on it.